The goals of preventing the outbreak of conflict and promoting sustainable peace remain a fundamental challenge to policymakers and analysts alike. The European Union (EU) and its member states require an adequate set of capabilities if they are to address this challenge in a timely and effective manner. EU-CIVCAP will provide a comprehensive, comparative and multidisciplinary analysis of EU civilian capabilities for external conflict prevention and peace building in order to identify ‘the best civilian means to enhance these capabilities’ and address existing shortfalls. More specifically, this project has identified three inter-related objectives: (1) To assess EU civilian capabilities for external conflict prevention and peace building; (2) To identify and document lessons learned and best practices in EU conflict prevention and peace building; (3) To enhance future policy practice and research on EU conflict prevention and peace building. The project will gather, synthesise, further develop and disseminate knowledge and learning on civilian conflict prevention and peace building. This will be done through, inter alia, the development of a catalogue of lessons learned and best practices reports, the creation of an expert network, engagement through social media, and the organisation of dissemination events in different formats in this area. The CIVCAP project provides insight into the EU’s civilian capabilities and also looks at CSDP training within this framework. As the project details the institutional and policy dimensions at play in EU civilian missions, it provides a knowledge base for the PeaceTraining.eu project. CIVCAP recommendations and lessons learned also feed into PeaceTraining.eu’s assessment on challenges and gaps in CPPB training and practice. Currently, many processes, procedures, systems and equipment for information management and exchange in EU civilian external actions are in place, but these are often used in an incoherent way and lack interoperability, inhibiting CSDP entities and other stakeholders to build a common understanding of crisis management. CIVILEX aims to identify, characterize and model the communication and information systems in use within the EU civilian missions, understand the stakeholders’ requirements and provide possible solutions to tackle by a future interoperable Situational Awareness, Information Exchange and Operational Control Platform. This would enable a more coherent and interoperable platform. As a result, common understanding and situational awareness about crisis management in EU civilian external actions will be enhanced since CIVILEX paves the way for such an infrastructure. The envisaged platform should facilitate the engagement of EU actors. This can include CSDP missions, EU Delegations, ECHO offices and Member State Embassies, but also UN offices and other non-EU actors. While the focus is on the civilian chain of command, it should also consider certain connections and overlaps with military actors. The need for coherence and interoperability is not new, nor is it a purely technical challenge. Clearly, there are certain legal, policy, institutional and human elements that function as facilitators and constrainers for better information exchange. The CIVILEX project details the institutional, policy, and technological challenges of EU civilian missions, focusing specifically on the case of operational ICT infrastructure. Particularly interesting is how the project demonstrates the importance of collaboration with other actors (EU, UN, NGO) in the field, an aspect which is also taken up by other projects (e.g. WOSCAP). Furthermore, the project emphasizes that technological training can also be an important aspect of peace training. EU personnel in conflict prevention and peace building missions come from diverse organizations and nations, yet must coordinate together in the temporary network or umbrella organization that comprises each CPPB mission. Coordination is challenging strategically and operationally. Even if the structures to coordinate together are in place, diversity in organizations (militaries, police forces, civil organizations), gender and culture (national, ethnicity, religion) make understanding of diverse personnel, and effective communication and cooperation in contexts of diversity difficult yet vital in order to achieve CPPB missions’ goals. Current training puts few resources into training personnel in these critical soft skills. Gaming for Peace (GAP) provides an efficient and effective means of developing and delivering a curriculum in those skills. Deriving a base curriculum from CPPB relevant soft skills and end user identified training gaps in this area, GAP designs a multiple player online role playing game which simulates scenarios from CPPB missions. The game can be accessed anywhere via the Internet and there is no limit on the number of personnel who can be trained. The game can be customized at low cost by different stakeholders. The GAP project is funded under the same call as PeaceTraining.eu and similarly aims to improve EU CPPB training. The project focuses specifically on the cross-cutting issues of cultural and gender awareness, diversity, and coordination and cooperation in CPPB missions. PeaceTraining.eu can draw from GAP insights on soft skill gaps as well as training recommendations in its ‘Develop’ Work Package. GAP research on online role playing in CPPB training also links with PeaceTraining.eu’s ICT approaches. The EUNPACK project unpacks EU crisis response mechanisms, with the aim to increase their conflict sensitivity and efficiency. EUNPACK analyses two gaps in EU crisis response. First, the intentions–implementation gap, which relates to 1) the capacity to make decisions and respond with one voice and to deploy the necessary resources, 2) how these responses are implemented on the ground by various EU institutions and member states, and 3) how other actors – local and international – enhance or undermine the EU’s activities. Second, the project addresses the gap between the implementation of EU policies and approaches, and how these policies and approaches are received and perceived in target countries, what we refer to as the implementation¬–local reception/perceptions gap. Our main hypothesis is that the severity of the two gaps is a decisive factor for the EU’s impacts on crisis management and thereby its ability to contribute more effectively to problem-solving on the ground. We analyse these gaps through cases that reflect the variation of EU crisis responses in three concentric areas surrounding the EU: the enlargement area (Kosovo, Serbia), the neighbourhood area (Ukraine, Libya), and the extended neighbourhood (Mali, Iraq, Afghanistan). The results of our research will enable us to present policy recommendations fine-tuned to making the EU’s crisis response mechanisms more conflict and context sensitive, and thereby more efficient and sustainable. EUNPACK is particularly interesting because it does not only focus on how EU institutions operate, but also on how their actions are perceived by local actors. When investigating CPPB training practices and successes, the focus often lies on the institution itself and not necessarily on the targets of CPPB activities. Future recommendations based on local perceptions can offer valuable input for PeaceTraining.eu’s engagement with challenges and gaps in training. FRAME aims to provide the necessary building blocks for a coherent EU human rights policy comprised of: (i) a sound knowledge base taking account of the factors, concepts, institutions and instruments underlying human rights protection; (ii) appraisal of the EU’s full potential to contribute to global human rights governance through its relationship with multiple actors and its manifold policies; and (iii) a set of indicators, tools and policy proposals geared to strengthen human rights implementation in EU policy-making. Through 4 research clusters, FRAME offers creative solutions to enhance the coherence and effectiveness of EU human rights policy. Cluster 1: ‘Factors’ examines the key factors facilitating or hindering human rights protection, the concepts of human rights, democracy and the rule of law and the human rights protection institutions and instruments at global, regional and national level. Cluster 2: ‘Actors’ addresses the EU’s human rights engagement with the UN, regional multilateral organizations, regional and strategic partnerships with third countries and non-state actors, as well as the relationship between EU institutions and the Member States. Cluster 3: ‘Policies’ hones the fostering of human rights in EU policies on development and trade, human rights violations in conflicts, freedom, security and justice and external human rights and democratization action. Cluster 4: ‘Tools’ develops indicators, tools and policy proposals, including policy benchmarking, to monitor and improve the effectiveness of EU human rights policy. The protection of human rights forms part of a broad conceptualization of CPPB and good governance. FRAME investigates the EU’s policies towards human rights and potential gaps and challenges. As human rights protection is a major cross-cutting theme in peace training, this can lend important insights for PeaceTraining.eu. 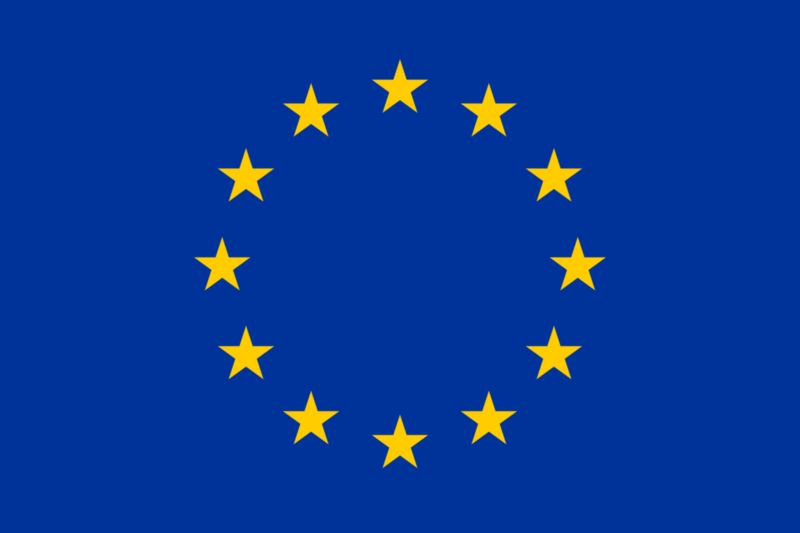 The European Union (EU) is increasingly affected and challenged by geopolitical changes, increasing impact of conflict on civilians, globalized impact of local conflicts, technological developments and budgetary constraints, the growing potential for individuals to create large security threats, and transnational criminality. With global interconnectedness, the repercussions of outside conflict are also seen within the EU, and may lead to societal and security challenges within the EU. The key issue for the EU is how to improve its conflict response capabilities to create more lasting impact on the ground and to use limited resources more effectively. 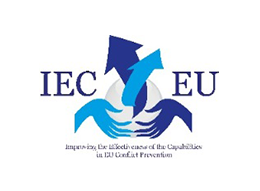 The IECEU–project analyses and assesses best practices and lessons learned with a view to enhance the civilian conflict prevention and peace building capabilities of EU with a catalogue of practices, new solutions and approaches. It will seek to find out how to increase the interoperability of resources in crisis management and peace building and what the potential for pooling and sharing of EU capabilities and technologies is. The main goals of the IECEU -project are: 1) Analysing and assessing the current situation of on-going and past missions and operations 2) Learning from lessons provided by these missions and assessing the different options 3) Providing new solutions, approaches and recommendations for EU to guarantee long-term stability. The IECEU focuses on EU CPPB policies and how to improve them. The project has also focused on CSDP training, and ICT approaches in particular. The project has developed the learning application ‘New Media based Learning Application’ (NMLA) as a supportive tool for EU crisis management courses and events. The application makes use of game-based interactive learning elements. The PeaceTraining.eu will draw from the application and lessons learned from IECEU. WOSCAP seeks to enhance the capabilities of the EU for implementing conflict prevention and peace building interventions through sustainable, comprehensive and innovative civilian means. It intends to address some of the dilemmas and paradoxes of external interventions that aim for local ownership in third countries, by exploring principles, processes and tools that can enhance EU capabilities. This will be achieved through the project’s Review, Reflect, Recommend and Innovate objectives. ‘Review’ will assess past and ongoing conflict prevention and peace building initiatives of the EU and its partners, focusing on three types of EU interventions: multi-track diplomacy, security sector reform, and governance reform. ‘Reflect’ will create a ‘community of practice’ providing forums for dialogue that will bring together policymakers, civilian and military practitioners, academic experts and beneficiaries of EU interventions. ‘Recommend’ will elaborate the project findings into a tailored set of recommendations and enhance their impact through direct policy engagement and an international dissemination strategy. ‘Innovate’ will contribute significantly to civilian conflict prevention and peace building by identifying research priorities and tools, and enhancing the potential of ICTs. The project Whole-of-Society Approach to conflict prevention and peace building is a conscious attempt to address the relationships of peace building actors within a wider cultural and institutional context. It deals with issues of coordination, synergies and inclusivity of peace building efforts, where diverse stakeholders have a role to play in the process. The WOSCAP projects highlights collaborative approaches to conflict prevention and peace building, including civil-military synergies, multilateral partnerships, and local ownership. The project has also looked at aspects of training in this framework. The PeaceTraining.eu can take this line of research further and investigate how training can contribute to whole-of-society approaches in CPPB.